It has been months of preparation with much prayer, discussions and more prayers for this event called “Voices Together” to happen. It was four (4) years ago that the first “Voices Together” was held. This year’s event is another run to include many more. Having been invited to become part of the Core Team, I was at the front-row seat in seeing how it all came together. Here’s the sequence of events that Henry Ford aptly described: “Coming together is a beginning; keeping together is progress; working together is success.” We fulfilled it and I believe you would agree, it was a huge success because all worked together for one purpose only, i.e., to see Jesus lifted high. 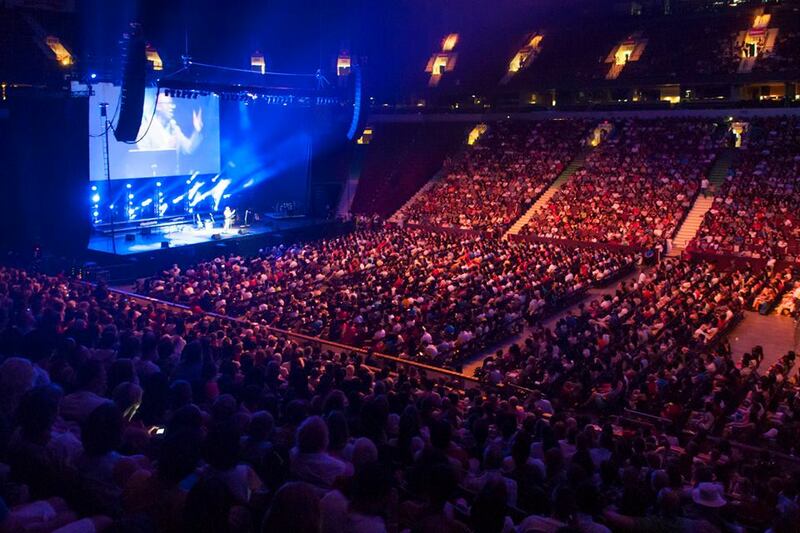 What transpired last July 1, 2013 at Rogers Arena was a collaboration of many like-minded individuals with only one desire, i.e., to see the Name of Jesus lifted high by God’s people with many “Voices Together.” I believe it was done with such extravagance and jubilation of corporate praise and worship. From beginning to the end, there was never a dull moment as many testified. People were impacted by each part of the program as seen by their animated reactions and energetic applause. Indeed, God was there with us in accepting adoration from His people from all walls of life and various denominations. 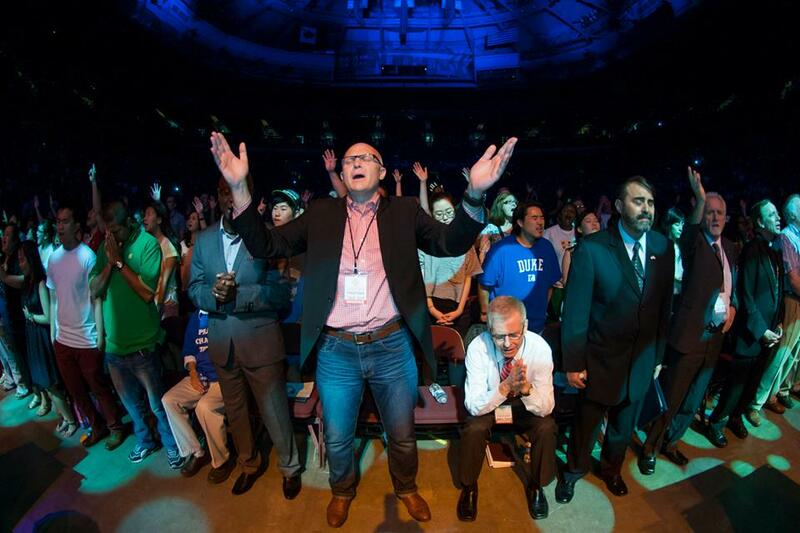 Heaven was present as God fulfilled His promise to “inhabit the praises of His people” and during the times of worship, Rogers Arena became a habitation of God’s presence with His people lifting up a mighty sound of praise. No person can deny that God was truly honored that day and without a doubt all who came realized that they have chosen a better time to celebrate Canada Day with the Lord and His people with “Voices Together.” To this, I can boldly say that no one left the arena without uttering these important words with much faith and assurance that “God was with us” all the way, from its commencement towards the conclusion. Yet, it does not end there for we need to look forward towards next year’s event. What occurred last 2008 was a seed faith towards this year’s event and hopefully it will become an annual event that the Body of Christ can prepare and look forward to. It is my heart’s desire to see revival at work in my generation and to see it first-hand. I have read many revival stories and I am looking forward that it will occur in this generation. 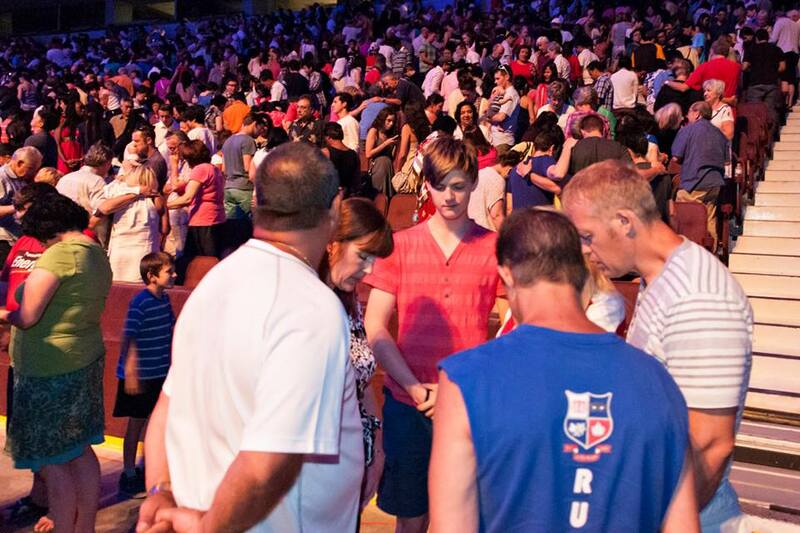 But I know that any kind of revival can only be ushered when God’s people begins to become passionate in praying for its arrival with “aggressive” unity in place. To end, allow me to share what I come across what God’s people must remember in forging an “aggressive” unity with one another: “Just before the battle of Trafalgar, Nelson inquired of Admiral Collingwood where his captain was, and learned that he and Captain Rotherham were not on good terms with each other. Sending a boat for the captain, he placed the hands of Collingwood and Rotherham together, pointed to the enemy's ships, and earnestly looking them both in the face, he uttered the simple words: 'Look, yonder is the enemy.' It was enough; disagreements were forgotten, and victory was gained” (Hy Pickering). May this generation of believers in this part of the world answer the prayer of Jesus, “That they all may be one; as you, Father, are in me, and I in you, that they also may be one in us: that the world may believe that you have sent me” (John 17:21 NIV). Last July 1 at Rogers Arena was just a taste of what is yet to come. Get ready and get everyone on board for next year’s “Voices Together.” You’ll never know, next year’s gathering will be at BC Place Stadium. Why not? Nothing is impossible to those who believe. Do you believe?